A couple years ago, at the beginning of the boat-build season, our BoatWorks student's completed a survey about their talents, interests, and learning styles. I’ve got a confession to make—mea culpa!—I didn’t think Marissa could do it. When the UrbanPromise Academy junior joined the high school’s Elite Cycling Team—which included a 12-week intensive training regimen—I had my doubts. Before you call me a cynic, though, let me add that I think the world of Marissa and have always enjoyed her sassy and spunky personality. I’ve known her since her middle school days at our CamdenForward School where she participated in an UrbanTrekker after-school program. Marissa is an outgoing, vivacious young woman—there’s no question about it. But the Elite Team’s early morning practices, three-month commitment, and 50-mile goal made me doubt she would make it to the end. She accomplished what I never imagined: She completed the Pedal for Promise and our seemingly endless weeks of training, and she did it with a determination and drive that impressed all those who rode along with her. I joined in her celebration after crossing the finish line—a few minutes after she had already arrived. With 300 riders, a fundraising total of $57,000—and counting!—for experiential learning programs, and a group of young people feeling an overwhelming sense of pride and accomplishment, the event was undoubtedly a success. 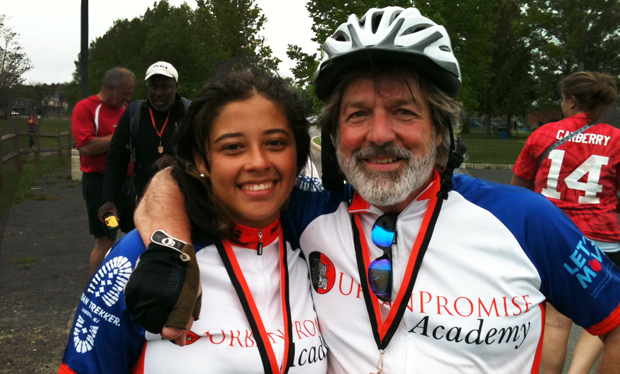 Since March, a group of UrbanPromise Academy high school students have spent each Sunday biking through New Jersey to train for Pedal for Promise. 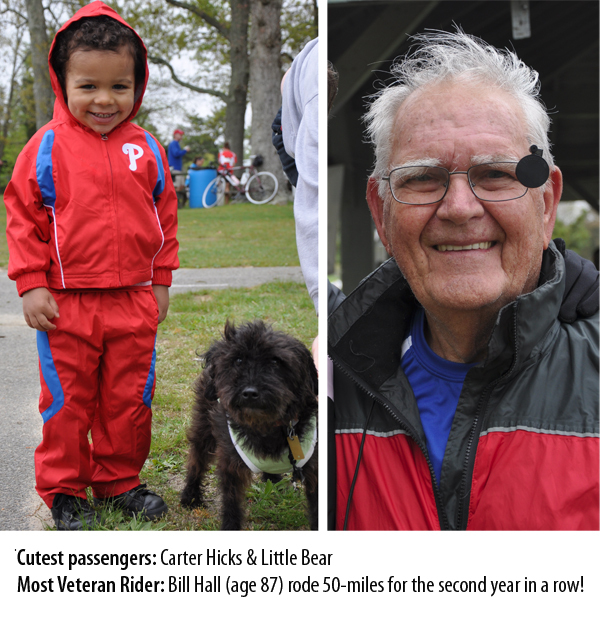 For some, this is their first time on a bicycle—or at least, the first time they’ve traveled any long distance on a bike. UrbanPromise Academy freshman, Alex Deleon, has truly embraced the riding experience—even if his legs are pretty sore Monday morning as he climbs the Academy stairs. 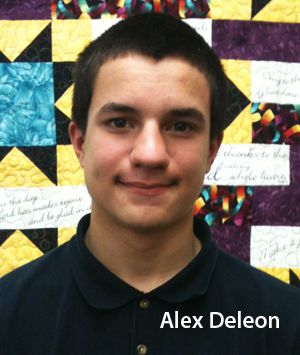 Recently, Alex shared that finishing the 50 miles will be an incredible accomplishment for him. “I’ve only ever ridden to the corner store and back home, Mr. C,” he said. “Fifty miles is going to be hard!" It will be hard, but it will also be an unforgettable experience and achievement that Alex will treasure for the rest of his life. 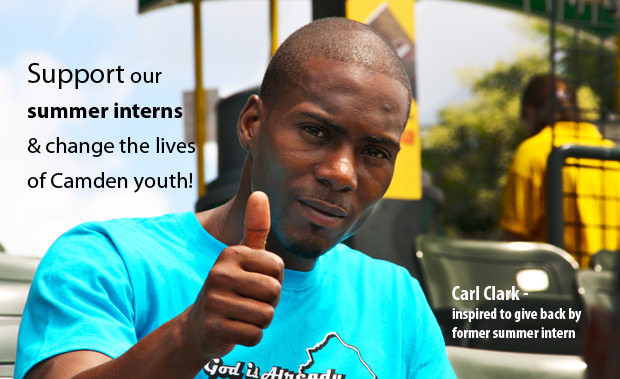 Students like Alex need your support and encouragement to make it to the finish line.